Doppler Photo: Photos and stories by Omari Stephens: Hi, Mary! Phew! Spent a week hanging out with family for a wedding, then took some time to focus on non-photography stuff. Now back to the grind; so many shoots to catch up on, it's crazy. That said, last week I got to spend some time with my awesome niece, Mary. She's really good at walking and her fine motor skills are also in pretty good shape. Moreover, she's already developing quite a personality. 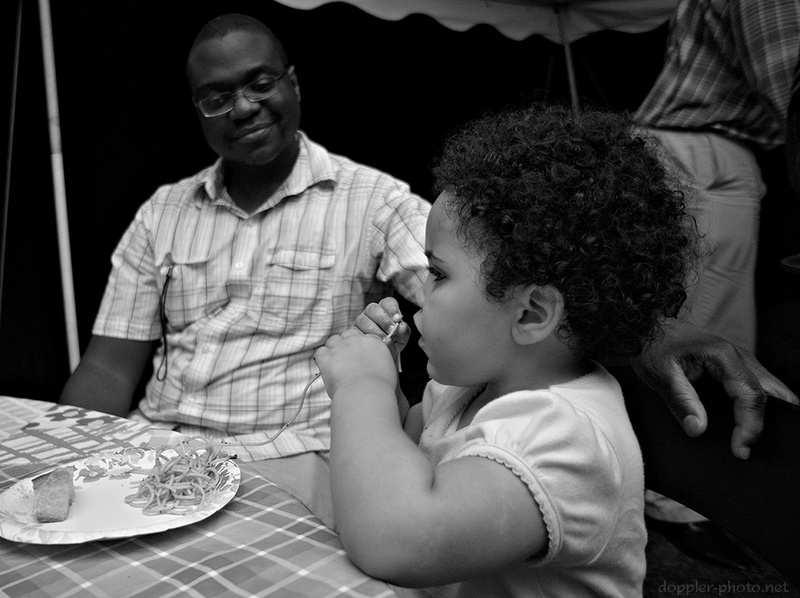 Here, her dad looks on as she eats a tendril of spaghetti during dinner. Like most kids, she's inquisitive and playful. She had a camera that she would sometimes walk around with. 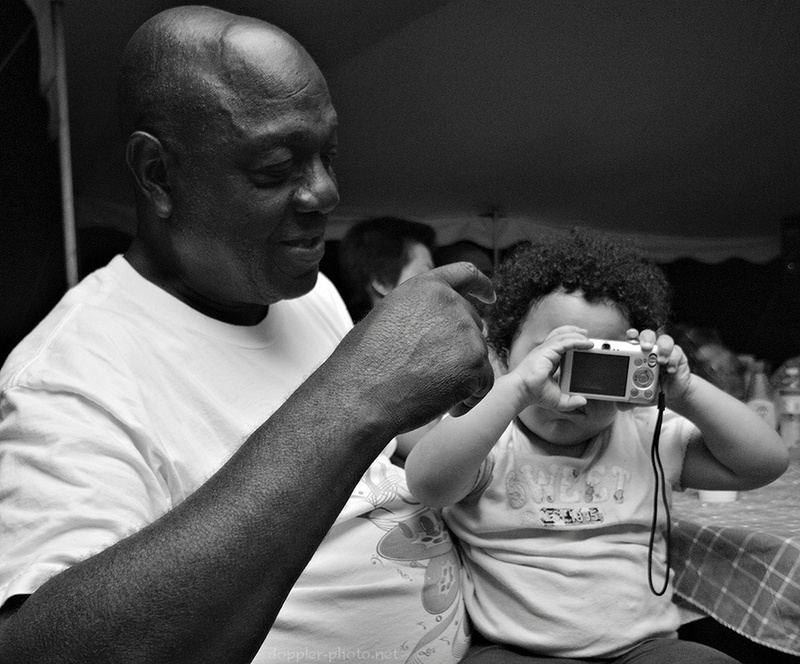 In the photo, she plays with it as she sits in her grandfather's lap.